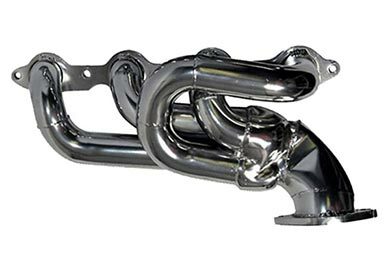 Read 67 customer reviews about BBK Exhaust, Mufflers & Tips that have an average rating of 4.5 to find out what product is best for your vehicle. 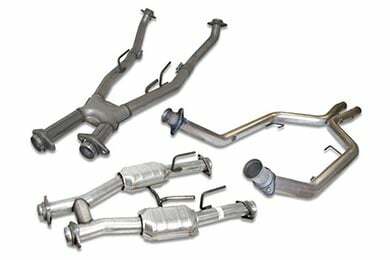 I BOUGHT THE BBK HEADERS FOR MY 2010 GT AUTO. I READ THAT THEY DON'T HELP MUCH ON AUTOMATIC TRANSMISSION. WELL THEY DO! I HAD THEM INSTALLED, THEY SOUND GREAT. I DROVE IT AND NOTICED RIGHT AWAY THE PICK UP IT HAD WAS MUCH MORE EASIER AND SMOOTHER. MY CAR FELT SO MUCH LIGHTER THOUGH OUT THE RPM'S, AND OF COURSE THE THE EXTRA POWER TOO!! WOULD I RECOMMEND IT, YES I WOULD. I'M HAPPY WITH THIS PRODUCT. PLUS YOU CAN GET ANOTHER 10% OFF WHEN YOU CALL IN THE ORDER. 299.00 TO 269.00 YOU CANT BEAT THAT!! SO FAR IV'E ORDERD ALL MY STUFF THROUGH AUTOANYTHING, YOU CANT FIND BETTER PRICES ANYWHERE TRUST ME I'VE LOOKED..
Reference # 766-177-470 © 2000-2019 AutoAnything, Inc.